Roofing area plays a very significant role in keeping a more convenient and well-protected way of home living. 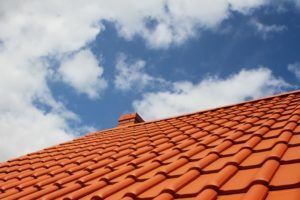 In connection to this, you must have a perfect solution regarding your roofing problems. It cannot be denied that recycling your old roof shingles alone might be quite difficult and costly for you. Meanwhile, you do not have to worry since there are several companies that can help you recycle your roof shingles in the best way as possible. You may not be aware of it, but roof shingles recycling can be good for the environment and can be possibly one of your efficient businesses. Roof shingles can also be turn into road. With the help of the recycling process, your old roof can be turned into sand, which is an essential ingredient in establishing houses and roads. To form new products form your old roof shingles, it must be done through recycling process. Meanwhile, the following are its step by step recycling procedures. The grinding procedure is highly advisable to do during winter since the asphalt roofing shingles are more brittle. On the other hand, the latter components may stick together during the hot weather or even by the heat caused by the equipment. Meanwhile, the best way to do in the grinding process is to spray it with water and blend it with sand and gravel. Primary grinding may range about 2” or 3” minus size pieces, which primarily depend on the equipment used. Furthermore, secondary grinding is required to have smaller pieces. One best example is an aggregate base can require 3/4 minus and asphalt pavement can require 1/2 minus or 1/ 4 minus. The roof shingles may be filtered after grinding, depending on its use. Thus, it is subjected to conform for grading requirements. In the recycling process of roof shingles, it is highly required to remove all the contaminants. To mention a few, its possible contaminants include metals that can be removed with the use of a rotating magnet. It also contains wood that sometimes complements shingles when the plywood is also replaced in a re-roofing job. The wood can be removed by simply using hand or floated off in a water flotation unit. Meanwhile, there is also a regulation in recycling your old roof shingles. In the process, one must use improvised and simple equipment that can grind shingles. In addition to this, since roof shingles may contain asbestos, which are harmful to our health, safety precautionary measures was developed to avoid any harm coming from the roof shingles. Instead of bringing it into the landfill, your roof shingles can be recycled and can be very helpful in the economy and environment. Moreover, it can be used in forming several products that the society needs now. This way, you can help not only the environment, but also the whole community. This article was brought to you by Lethbridge Elite Roofing. We like to share opinions about the roofing supply and demand in North America.